SolarStratos, a two-seat, solar-powered airplane, is being readied for record flights in Yverdon-les-Bains, Switzerland, just a 25-minute drive from the Solar Impulse hangars in Payerne. 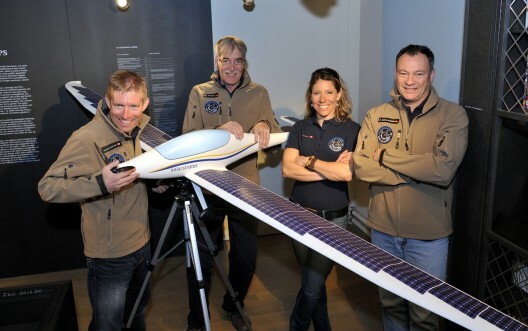 Its makers claim that it is the first commercial solar two-seater aircraft in history, and will be the first solar-powered airplane with a pilot to enter the stratosphere. These heady claims are described on the project’s web site as a “crazy bet,” but it’s too early to make such judgments. Calin Gologan of PC-Aero GmbH designed the base craft, an expansion of his earlier ultralight electric aircraft, Elektra Two. The “Record” version of this craft, despite SolarStratos’ extended 20-meter (65 feet, 7 inch) wingspan, weighs a feathery 140 kilograms (308 pounds) empty, and only 350 kilograms (770 pounds) loaded, including 80 kilograms (176 pounds) of batteries and 20 square meters (215.28 square feet) of thin-film solar cells set into the wing and horizontal tail surfaces. With a span loading of only 11.7 pounds per foot, the craft is in sailplane territory, necessary to allow it to take off and climb with a mere 13.5 kilowatt (18 horsepower) motor swinging a three-bladed propeller for motive power. 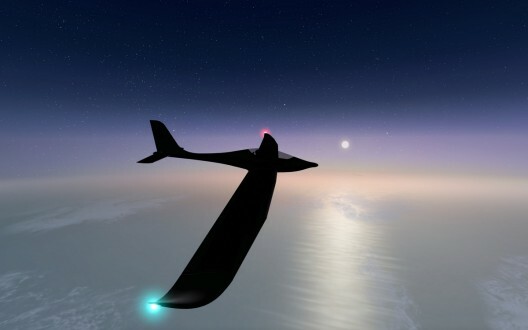 This low power concerns your editor, who notes that the mission includes a climb to 75,000 feet in four hours, similar to the mission profile of Perlan 2, which will use wave energy off the Andes Mountains and the Polar Vortex to reach 90,000 feet without any on-board power plant. 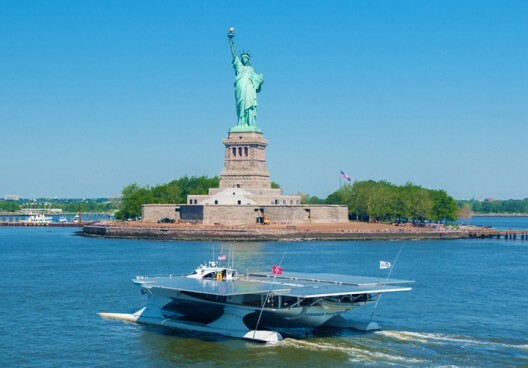 Loaded weight includes the pilot, Raphaël Domjan, a self-described “eco-adventurer and conference speaker,” who completed the first solar-powered around-the-world voyage on the MS Tûranor PlanetSolar, a 31-meter catamaran with 512 square meters (5511 square feet) of solar panels covering its upper decks. That trip convinced him to take the next step – into near space. One of the challenges in the mission will be flying in an unpressurized cockpit at 70 degrees below zero while wearing a pressure suit. Domjan will not be able to exit the aircraft with a parachute in an emergency because of the tight quarters. The problems involved in Perlan 1 convinced Steve Fossett and Einar Enevoldson to install a pressurized cabin in Perlan 2 and install a full-aircraft ballistic recovery parachute to provide some degree of safe retrieval from catastrophes. Otherwise, the design goals of the two projects are remarkably similar, with the ability to cruise at near-space altitudes while collecting air samples that will be unpolluted by an internal-combustion engine. With record flights in the stratosphere scheduled for 2017, Domjan hopes to carry passengers into the daytime starlight sometime in 2018, not only for sightseeing, but for expanded scientific research. Partners now include Solstis SA, Horus Networks Sàrl, PV-Lab du CSEM, PC-Aero GmbH and the City of Lausanne. We look forward to sharing the progress as this mission “to the edge of space” takes form. In the meantime, Calin Gologan will appear at the eighth annual Electric Aircraft Symposium at Santa Rosa, California, April 25th and 26th – and we’ll be looking forward to finding out more about this ambitious project. With Solar Impulse less than a year from an attempt at an around-the-world flight, Eric Raymond working toward solar-powered flights around Eastern Europe and China, and new technology being announced daily, we can be optimistic about the exciting years in store.